However, sparks fly when her benefactor’s handsome grandson, Greg Buchanan, accuses Tillie of exploiting his grandmother’s memory for her own ends by claiming Gram haunts the inn. While reading his grandmother’s private journals, Greg learned Jesse James returned to this house in the 1930s, half a century after historians believed he’d been shot dead. Vowing to debunk the charlatan’s claims of ghosts and to prove his grandmother correct, but quickly discovers the charming Tillie is not at all what he expected. Embarrassed to admit he’s another of the conspiracy theorists she scoffs at, he hides his secondary reason for showing up at her B&B. 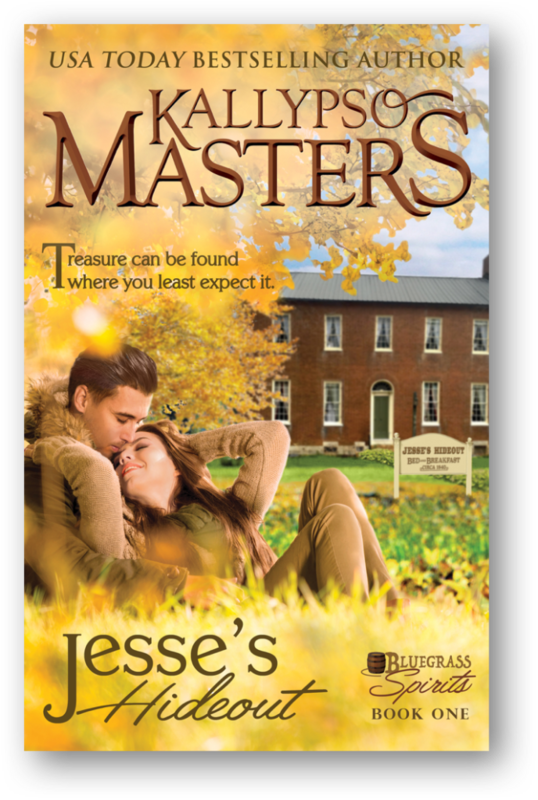 Yet his attraction to Tillie keeps him torn between setting history right and forging a new history of his own in Tillie’s arms. Tensions mount, leaving his grandmother’s spirit to think her dying wish—something she’s wanted since Tillie and Greg were children—may never come true.